Ask any salt water pool owner about their pool and they will tell you how much they love it -the softness, how gentle it is on skin and eyes, the reduced handling of chemicals and no more “chlorine odor”. However, with recent by-laws in place in such cities as Hamilton, Brantford, Toronto, and London prohibiting the drainage of salt water into the storm sewers or near a ravine, salt water pool owners may soon be facing difficulties in what used to be a simple maintenance program. How will local By-laws affect how I operate my pool? 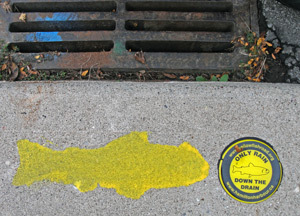 In August 2010, the City of Hamilton extended its Sewer Use By-Law No. R89-049, to owners and operators of private swimming pools and hot tubs. This By-Law recognizes that the chemicals used to maintain swimming pools and hot tubs, such as chlorine, bromine, salt, and copper-based algaecides, when discharged into the sewer system, are harmful to the organisms that live in the creeks and rivers across Hamilton and Lake Ontario. To ensure compliance of the Sewer Use By-Law, the City of Hamilton, has the authority to collect, inspect and examine all wastewater being discharged into its sewer systems. This includes water backwashed or drained from your pool or spa. Although we are not aware of any set fines being issued in Hamilton, the City has the authority to order corrective measures in cases they feel are extreme. How will I backwash my sand filter or drain my pool for winterization? Storm sewers carry rain and melted snow away from homes and roads – and in most cases, the water we use to drain our pools and backwash our pool filters. This water is not treated in a facility prior to being released into Lake Ontario. Sanitary Sewers carry the water we use in our homes via showers and toilets to the City’s wastewater treatment plant for treatment before it is released into Lake Ontario. Some pool owners may already have their backwash or drain lines tied into their sanitary sewer where water is safely treated at the City’s wastewater treatment plant before it is released into Lake Ontario. Some pool owners may already be in the safe practice of draining their pool and spa water to their own property. Others will simply take their chances with the city and wait for an economical way to desalinate their pool water. We can dechlorinate water but unfortunately, salt water pools cannot be economically neutralized for backwashing and winterizing purposes. During the swimming season, switching to a cartridge filter will eliminate the need for weekly backwashing, but the problem is still there when it’s time to drain water out for the winter. Currently in Brantford, the fine for discharging polluted pool water to the sewer system is $50,000. A second offense warrants $100,000. What impact does salt water have on our environment? Our team took photos of the following symbols located on sidewalks beside storm sewers in Hamilton. These were placed by members of the Yellow Fish Road campaign in order to raise awareness of how polluted water affects Hamilton Harbor. Partnered with Trout Unlimited Canada, these programs strive to conserve and protect Canada’s freshwater fish and their ecosystems to restore their coldwater resources to a healthy and productive state. Is my pool “Salt Water Compatible”? Due to the electrolysis that occurs when a chlorine generator converts salt to chlorine, older pools and equipment may not be salt water compatible. Current pool installations involve a process called “bonding” during the construction phase. Bonding is not the same as grounding which is where a circuit terminates in the earth. Bonding is the joining of all metallic components via a bonding wire beginning at the pool’s steel structure and including such items as ladder anchors in the deck, the pool light, the pool pump and the heater. These components are all looped together to create a conductive path for current to flow. This process most importantly reduces shock hazard but also minimizes electrolysis of metallic components while a salt chlorine generator is operating. Most older pools were not “bonded” at the pool and may not be compatible. To check an older pool’s compatibility for salt, a voltmeter can be used to test for DC Voltage. 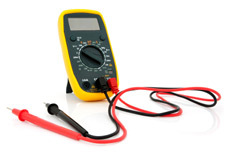 With 1 Test Lead to the pool water and 1 Test Lead to Metal (ladder or light), obtain a reading in millivolts. If you obtain a reading of 350 millivolts or less, compatibility is okay. If you obtain a reading of 400 millivolts or greater, a salt system is not recommended. We do not recommend salt water in aboveground pools with metal frames, inground pools with metal light flanges or galvanized fittings and in pools with older pool heaters using standard copper heat exchangers. When considering a new heater or replacement heater, Hayward heaters now feature cupro nickel heat exchangers for the ultimate in corrosion resistance. Note: If your pool uses natural stone for coping or for immediately adjacent patios or decking, you should consult a qualified stone installation specialist regarding the appropriate type of sealant (if any) and maintenance of stone used around a saline pool with electronic chlorine generation. For those pools that are not compatible with salt water, please consider our alternative options for reduced chemical handling and increased bather comfort. Is there less maintenance to a salt water pool? Our answer is “no”. The maintenance is just different. Rather than filling up your chemical feeder with chlorine tablets or pouring liquid chlorine into your pool which is routine for most people, you are simply controlling a dial on the system’s automation panel to tell it how much chlorine to make and how often. The dial setting is dependent upon pool size, pool and outside temperatures, inclement weather and bather load. Does this exempt you from ever having to add chemicals? Of course not. Most new salt pool owners don’t realize that they still need to check to make sure that the chlorine generator is in fact generating the appropriate level of chlorine which can only be checked by testing the water with their test kit. Salt and Stabilizer (cyanuric acid) needs to be topped up throughout the summer and often, due to the high pH promoting characteristics of a salt chlorine generator, pH Down or Muriatic Acid needs to be added to the pool on a routine basis. These systems are not a “set it and forget it” system. If a salt water pool should go green due to chlorine levels being too low or no power to the system, a salt water pool can only be cleared by chemical methods other than the salt system. A Salt chlorine generator is not capable of clearing a green or extremely turbid pool.